One of the options is to sell your used phone, but how to sell used phone with ease and safe? 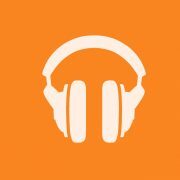 There are two recommended sites that I want to review. Check them out! 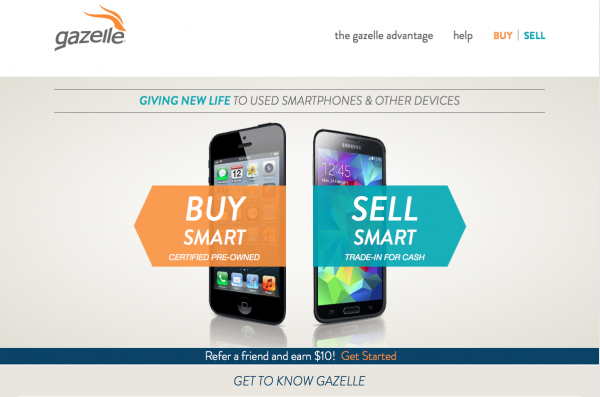 Gazelle.com started in 2008, and today, it is one of the nation’s leading consumer electronics trade-in site and e-commerce where you can buy Certified pre-owned devices. Gazelle offers the easiest and fastest way to sell your used cell phone by only 3 simple steps. Besides selling your cell phone, this site also offers the second-hand cell phone and the other electronic devices, such as tablets, and Apple Computers. First, click Sell Smart if you want to sell your phone or Buy Smart if you want to buy the second hand device. Choose the device you want to sell, and then choose the model, the carrier, and capacity. For example, you want to sell your iPhone 5s 32GB unlock. Select your cell phone condition. Gazelle will give you three options: Broken, good, and flawless to describe your phone condition. After you choose the condition of your phone, they will give you the offer. If you agree with the offer, they will ask you about the payment method that you prefer: a check, Amazon store credit, or PayPal. The next steps will be packing and shipping your cell phone to Gazelle, and wait for them to receive and check your phone condition. The last step, they will give you the final offer. If you agree, they will pay you, but if you do not agree, you can reject and they will re-ship your cell phone back to you. Gylde.com offers their trade service in a bit different way than Gazelle, but it also easy, and safe. Here, you are the one who sets the price of the cell phone that you’re going to sell. How does it work? First step, choose your device model, and list your cell phone by answering a few questions to describe your phone’s condition. For example, you are going to sell your iPhone 5s. After you select the photo of iPhone 5s on the Glyde.com, they will ask you about the carrier, its capacity, and color. The second question is about the condition of your iPhone 5s, whether it is still good or is cracked, and so on. Then, you can set the price of that iPhone. 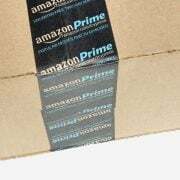 Once your cell phone is sold, Glyde will email you and send a shipping kit with pre-paid label. All you have to do just put your cell phone in the shipping kit box, put the label on it and send it to Glyde by mail. You don’t have to worry about your phone. It is safe because the shipment is fully insured. The last step, you get your money. After your buyer receives your phone, your money will be deposited into your Glyde account. 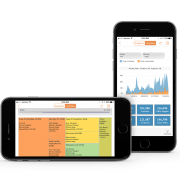 Tableau software is changing the corporate world.